YOU ARE INVITED! The Computer Science Department is hosting an alumni get together (graduates and undergraduates) on Saturday October 27, 2018 (also homecoming day) and we want you to come! Bring your family and visit with the faculty. You will get to see some familiar faces along with meeting our newer faculty. See what changes have been made to the campus, as there have been a lot of them. We want to know where life has taken you and what exciting things you are doing now. We have not seen some of you in years and it will be great to get reacquainted again! Visit with other alumni and attend the football game later in the day if you wish. Tickets may be purchased here [Click Here] starting October 20th or can be bought the day of at the stadium. The Honors College and Regents Scholar Program will host their annual alumni mixer during tailgate this year. They will have two tailgate spots set up on University Drive (spots 21 and 22). The activities for the CS Alumni breakfast and meeting starts at 9:00am on 10/27/18. We will meet in the Journalism building room 104 and go as a group to the Rayburn Student Center to get breakfast. The Journalism building is located on the East side of campus accessible from Monroe street (Turn on Education Drive into campus). 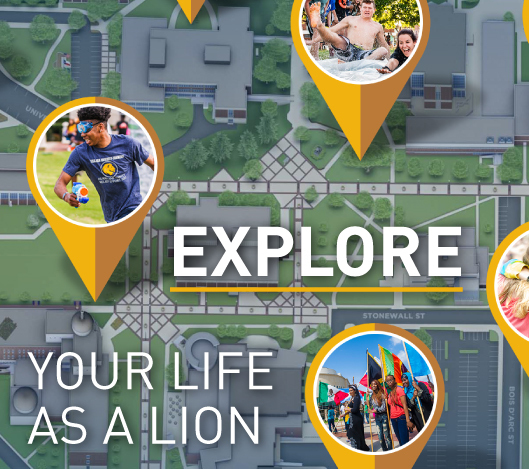 See the links below for a campus map. Parking is available in front of the Journalism building. After eating we will return to the Journalism building for an informal session and update about the Department. If you have any questions about the event, please contact Daniel.Creider@tamuc.edu.